Apple has been famous with inventing thing other never dreamed about. 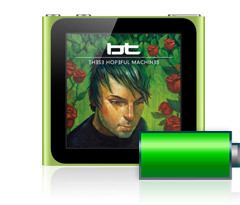 This time they have done it again with the new iPod nano taking the generation of portable music players to new levels. 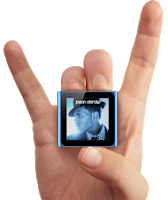 Apple presents the iPod nano with just a screen but with added features. 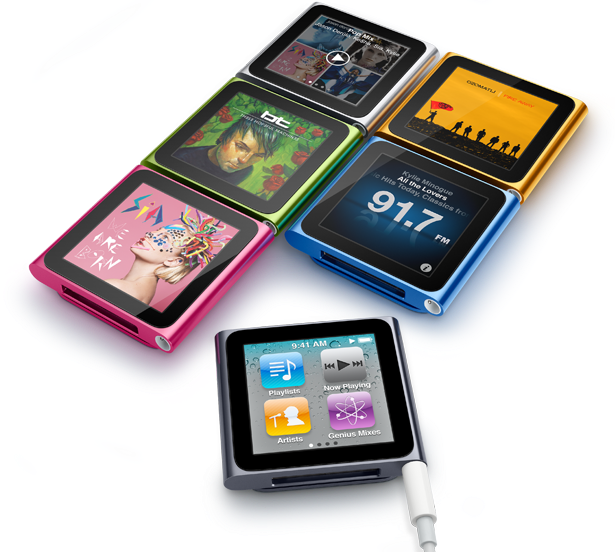 The iPod nano is now smaller but cuter. The whole body is just a multitouch screen on one side and the clipper on the other. The nano looks quite promising and is set to rock the world. The Multi-Touch display lets you experience your music in a new way. You Tap to play anything you want to hear. Swipe the Home screen to browse your music by songs, albums, artists, playlists, genres, or composers. You can even rearrange the icons on your Home screen so your music is organized just how you like.Clip on some tunes. The battery is stated to give an unbelievable 24 hours of nonstop playback. The music gadget is priced $149 for 8GB memory and $179 for 16GB. Please comment on the post, suggestions are always welcomed.